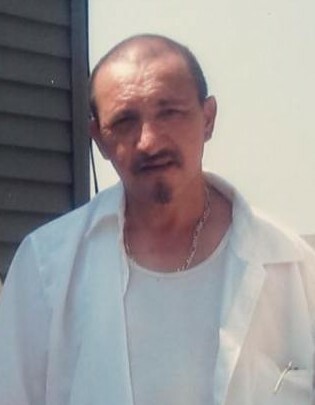 Silvano Montemayor, Jr., 56, of Gary, Indiana, was called home on Wednesday, April 3, 2019. He is survived by his loving mother, Teresa Montemayor; five siblings, Fernando (Angela) Montemayor, Mario (Sonia) Montemayor, Maria (Jesse) Garcia, Sylvia Montemayor, and Elizabeth Gonzalez, and numerous additional loving nieces and nephews. Silvano is preceded in death by his father, Silvano Montemayor, Sr., and his brother Ezequiel. Friends are invited to meet with the family from 11:00 AM to 12:30 PM on Monday, April 8, 2019 for a Celebration of Life Gathering at Hillside Funeral Home & Cremation Center, 8941 Kleinman Road, Highland, Indiana 46322. A Celebration of Life Service will immediately follow at 12:30 PM at the funeral home. Father Frank Torres, officiating.